Just double-checking if you guys already purchased your tickets for the hippest whisk(e)y event(s) of the year or not: the Whisky Jewbilee(s)..! The genius minds of Single Cask Nation prepared two amazing events next month on Wednesday the 9th in Mount Kisco, NY and on Thursday the 10th in New York, NY for all the whisk(e)y geeks. Visit their website for more information and to check their exhibitors and their pour list. Be careful though because there is a good possibility you will be drooling on your keyboard... Now when you purchase your ticket do not forget to use the special "tire-bouchon" discount code "TB13". 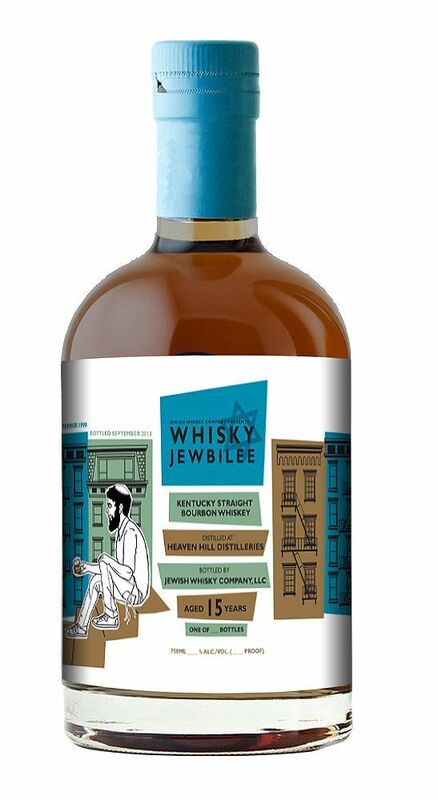 Oh, there is also a special Jewbilee bottling: A single barrel bourbon from Heaven Hill! It is a 15 year old Kentucky Straight Bourbon from a high-rye mash bill, bottled at 122.6 proof (61.3% abv). The cask yielded less than 100 bottles and will be priced at $110 per bottle. To be able to purchase one you have to sign up at the Jewish Whisky Company table at one of the events. First come, first served folks..!